When you read this book, you will make many assumptions. You will assume you are reading about a jealous wife and her obsession with her replacement. You will assume you are reading about a woman about to enter a new marriage with the man she loves. You will assume the first wife was a disaster and that the husband was well rid of her.You will assume you know the motives, the history, the anatomy of the relationships. I love to read physiological thrillers even though I am usually able to figure out just what is going on rather quickly. I just enjoy seeing how people's minds can twist and bend their reality. However in THE WIFE BETWEEN US there were so many turns coming out of left field that I wasn't able to peg exactly what was really happening. Heck there were so many twists that I plan on reading this book again hoping that I will be able to pinpoint them since I know the conclusion. 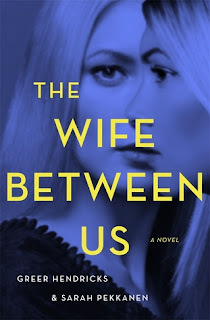 I do have to say that THE WIFE BETWEEN US is one of the best thrillers that I have had a chance to read in a long time. 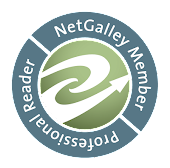 I would recommend it to any of my friends and readers who enjoy books that will keep them glued to the edge of their seats. The fact that this is a debut novel simply blows me away. Get this book! You will not regret it. This book is on my TBR list.. I have a few I have to finish before I dig in. I rather do love a story I can not predict and get blind sided.